Talk about last minute! We've been on vacation and after a 17 hour drive yesterday, we're finally home. 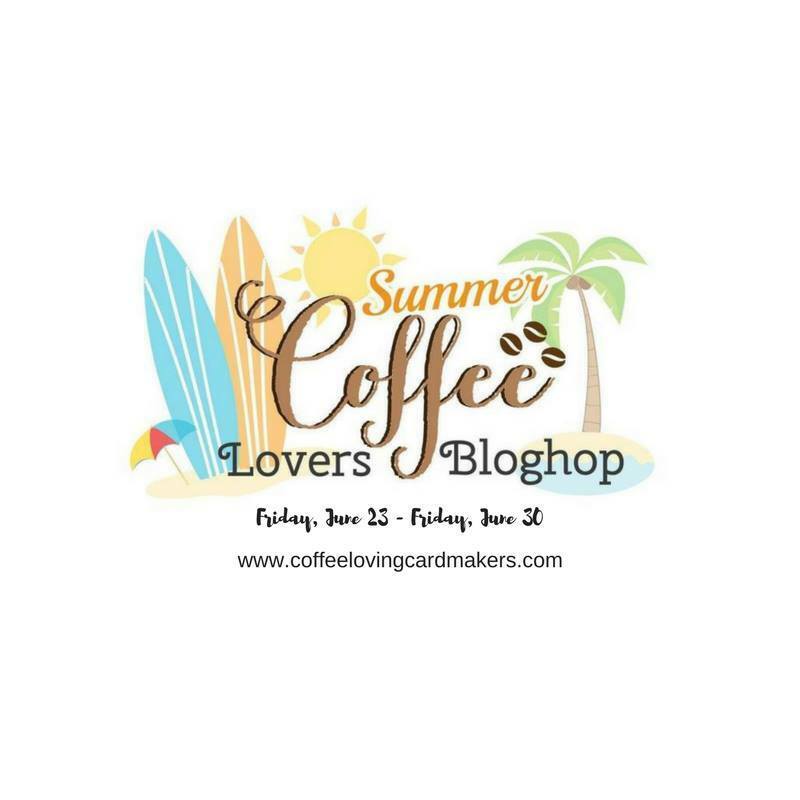 I was sad to miss the Coffee Lover's Blog Hop, so I took a bit this afternoon to make a card. 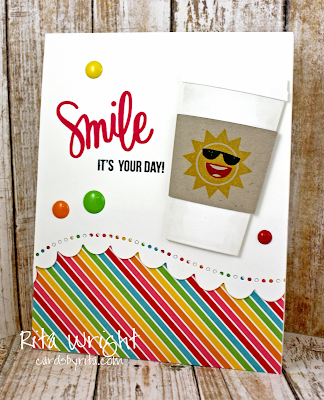 It's the summer edition, so I thought I'd make a fun, bright card. Hopefully you can see the coffee cup. My photography when tired is SO bad. Goodness. This is wonderful. It just shouts of summer. Love everything about it. 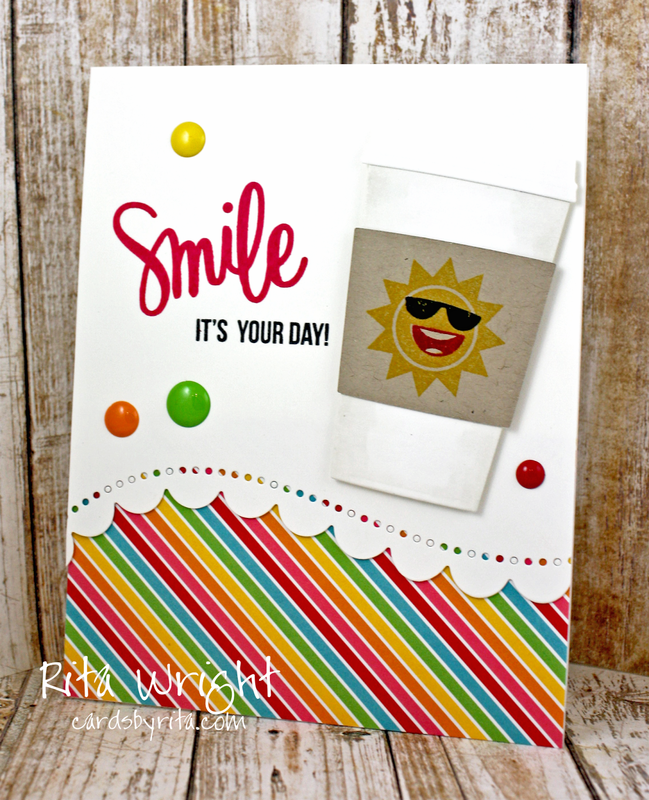 One of the prettiest summery coffee cards in this hop, awesome, love it! Oh this is so fun + summery! I bet you're glad to be home after that long of a drive! Such a happy and colorful card. Very pretty design, love the colorful stripes. Very cute. its very colorful and pretty! Love this! So pretty..colorful and love that happy sun!